Two kinds of traditional Korean liquor from the Joseon Dynasty (1392-1910) have recently been revived. Under the project “Bring Back Joseon-Era Traditional Alcohol,” the Rural Development Administration (RDA) brought back to life two kinds of traditional Korean alcohol: jaju (liquor produced by boiling clear liquor, or yakju, with medicinal herbs) and jinsangju (clear rice liquor that used to be presented to Joseon-era kings as tribute from the country). Both were recreated using the recipe from Sangayorok, an agricultural manual written by medical officer Jeon Sun-eui during the reign of King Sejong (1418-1450). 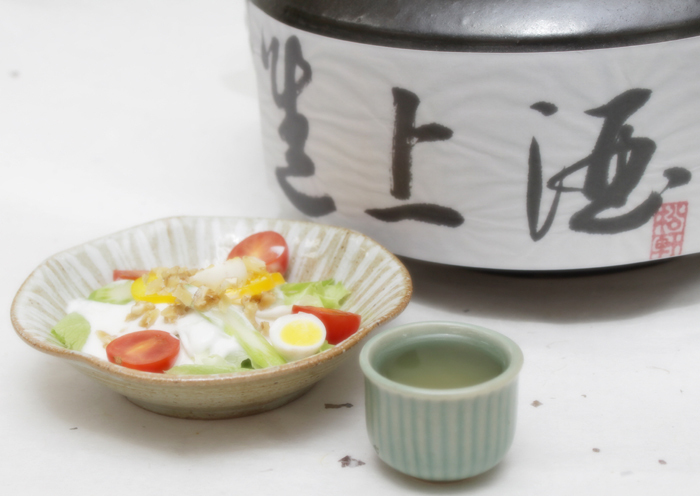 Jinsangju is an alcohol fermented with rice crude liquor mixed with steamed glutinous rice. This fermented alcohol is known to have won the Joseon-era royal family’s favor with its unique sweet and light flavor. ○ Prepare 17 liters of clear alcohol or yakju (about 17 proof). ○ Add about 0.3 grams of beeswax, black pepper, cinnamon, and dried orange peels. ○ Put all the ingredients in a pot and place the pot in boiling water for six to twelve hours. ○ Leave it in a cool place. ○ Soak 1 kilogram of regular rice overnight. Grind it, then pour three liters of water in a pot with the powdered rice and boil it into a thick gruel. ○ After cooling, add 800 grams of nuruk (powdered Korean yeast) to the gruel, put it in a pot, and ferment it in a cool place for five days in spring or autumn, three days in summer, or seven days in winter, respectively. ○ Wash thoroughly 5.4 kilograms of glutinous rice and steam it. Then cool it and put the steamed rice in the pot. ○ After seven days, strain the resulting fermented rice with a sieve, and now you have sweet jinsangju. 1. Wash regular rice and soak it overnight. (left) 2. Grind the rice. 1. Boil it into a thick gruel. (left) 2. After cooling, add nuruk to the gruel. (From left) 1. Steam glutinous rice in a steamer lined with cotton cloth. 2. Put the steamed rice in the pot and leave it for seven days. 3. Strain it with a sieve. I am making this recipe for jinsangu. However, I am not sure it will be liquid enough for straining on the 8th day. Are you sure there is no water added to the second fermentation? It’s day 6 and it still looks like thick oatmeal.